This site is dedicated to my hobby of researching and collecting Wedgwood. I’d like to hear from other Wedgwood collectors and share tips and experiences and most importantly talk about our favorite Wedgwood pieces. I began collecting Wedgwood in the early 1970’s and have amassed a large collection of old and new pieces. I am particularly interested in vintage Wedgwood although I don have in my collection many newer items and my wife and I have also been fortunate enough to purchase dinner sets and tea collections. As my collection has grown considerably over the years I now also have pieces of my private collection of Wedgwood for sale and if you would like further information of the items please feel free to contact me. I also have books and other fine Wedgwood pieces available for purchase. You will find throughout this site information on Identification and Dating Wedgwood. The different styles of Wedgwood such as the famous Jasper stoneware pottery, Black Basalt, Earthenware, Pearl Ware and many others. Also included is information on the famous Wedgwood Portland Vase and a brief history of Wedgwood. More detailed information can be found in the many publications available which outline in great detail the history of long established company and the many milestones of Wedgwood over it’s long history from the mid 18th century to present day. I get many requests for information on particular pieces of Wedgwood and whilst I do my best to answer questions on this site, at times I also seek advice. 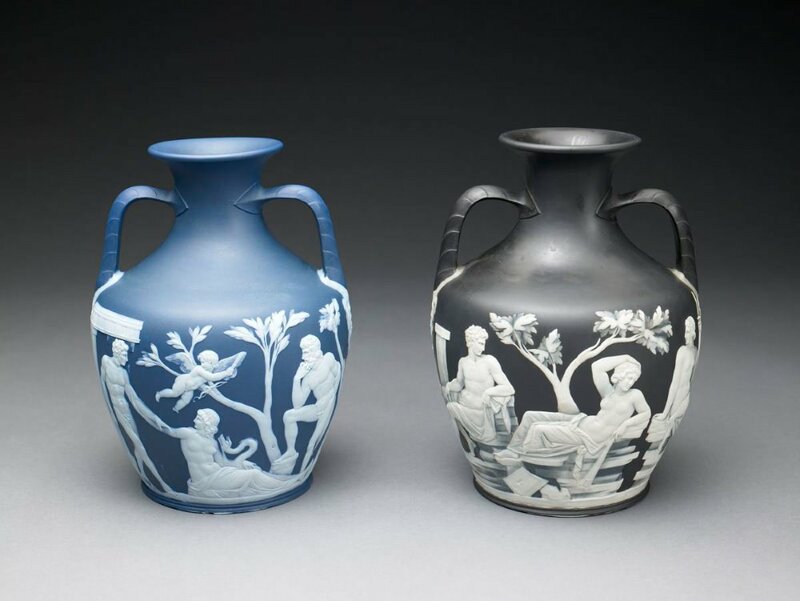 Many publications are available for detailed research on Collecting Wedgwood. I have also decided to introduce shortly a Facebook page whereby visitors can submit questions to other Wedgwood collectors and enthusiasts. Please Note the Facebook page will not for the purpose of selling items. Contact me if you would like to be notified when the page is ready. This site Collecting Wedgwood has no affiliation with the Waterford Wedgwood company and is mainly for information exchange with Wedgwood collectors.